Sci-fi author Joseph Malik has not only collected favourable reviews on his first release, but has been selected as an eligible author for the 2018 John W. Campbell Award for Best New Writer in Science Fiction/Fantasy. He published the Dragon’s Trail independently, by setting up his own publishing business, Oxblood Books. We asked him about his experiences on self-publishing sci-fi or fantasy: it is a fascinating read. You can find his bio at the end of the interview. When did you start writing? Did you have any rejections? I started writing when I was a teenager. I had sent out manuscripts early-on before I realized that writing a book didn’t constitute nearly enough writing to write a good book, but I didn’t get serious about the craft of writing until my mid-twenties. Dragon’s Trail went through several versions which would probably qualify as separate books entirely over about fifteen years. I have a folder with 47 rejection slips in it. I am sure I received many more. The biggest piece of my writing journey, though, is that I set out to write a fantasy novel that did for knights in armor what The Hunt for Red October did for the nuclear submarine. To that end, I did all of my research firsthand. While I was developing my writing and studying the craft, I was learning swordsmanship, horsemanship, mountaineering, blacksmithing, martial arts, pacing off castles and ruins in Europe, building a functional Elvish language, and on and on. I wanted to have the mundane elements of the world correct—if not historically accurate, at least mechanically and functionally feasible—before I introduced the magical aspects of the story. I was told repeatedly by major publishers and agents that this would never work, and that there was no market for a “realistic fantasy.” I finally quit writing fantasy altogether after about fifteen years of rejection. I’m in the U.S. military, and some years later I was injured on a deployment. I found the manuscript on an old hard drive in the hospital. I rewrote it while I was convalescing and resubmitted it, and was rejected several more times before finally releasing it through my own publishing company. In the past 12 months, Dragon’s Trail has been on the bestseller lists in every major online retailer, breaking the Top 100 overall on Kindle, Kobo, iBooks, and Barnes and Noble, and hitting #1 in Epic Fantasy on Amazon in four countries. I’m eligible for the 2018 John W. Campbell Award for Best New Writer in Science Fiction and Fantasy. All this with a debut, self-published novel. I don’t even have a published short story out there. After all those rejections, after being told for years that there was no market for my work, I stepped up to the plate and hit the very first pitch into the lights. This should tell you everything you need to know about traditional publishing. Self-publishing or indie publishing? Which one and why? I am not quite sure I understand the difference. I will say, however, that in retrospect I recognize I took a different approach than most when I decided to independently publish Dragon’s Trail. I decided to tackle it as a new career, even if it wasn’t my sole source of income. Instead of self-editing, and making my own cover, and throwing it onto KU, I started my own company, and I decided that I was going to release a book that was competitive with and indistinguishable from a release by a major publishing house. I hired a professional editor, a cover designer, a business development consultant, the works. It took some initial capital investment and a lot of time. First off, it took probably a million and a half words of failed novels and rejected rewrites and a solid twenty years of craftsmanship. I would not, repeat NOT, suggest that anyone do what I did with their first draft of their first-ever novel. Or even their fifth draft of their first-ever novel. That’s not what this is about. This is about bootstrapping yourself to the next level when you’re sure you’re damned good and ready. So, I guess I’m self-published, but I started my own publishing company using my own material as a proof of concept – and have now been approached by other authors wanting to submit their manuscripts for publication by Oxblood Books. It has been fabulous working with PublishDrive. Do you think your book would have received the same publicity if it didn’t have Oxblood Books behind it? Not remotely. My business partner at Oxblood Books is a genius. Dragon’s Trail pretty much treaded water for the first six months after release, but once she came on board and started crunching the numbers and looking at my process, it was about another month until it popped into Amazon’s bestseller list in Military Fantasy, and it has just gone up from there. The takeaway here is that even though she was new to publishing when we started, she knew a hell of a lot about marketing and business development. It didn’t take her long to see what I’d been doing wrong. She was instrumental in finding opportunities like the Booklife Prize, which opened the door for an outstanding Publishers Weekly review in November 2017, over a year after release. I would never have realized when I became eligible for the John W. Campbell Award for Best New Writer, alongside authors from the major publishing houses. She keeps coming up with ideas that I just don’t see, and the biggest part of it is that having her onboard frees me up to write. When did you realize that your book will be a hit? There was, actually, one exact moment. I was a panelist at a fantasy convention last April, demonstrating hand to hand combat, swordsmanship, and—if memory serves—conlanging (building fantasy languages). I arrived at my book signing at the con a few minutes late; there was this whole huge ballroom full of authors, maybe twenty of us, and there was a line of people in front of my empty chair that stretched out into the middle of the room. We sold every book I’d brought, and people were bringing up programs for me to sign. That’s when I realized that the majors had been catastrophically wrong: there is a huge market for the kind of book that I’d written, and there are readers who have been waiting their entire lives to find an author who will go to great lengths to get the minutiae right. There’s also an element of “street cred” to an author who can judo-throw someone in armor while wearing a Brooks Brothers jacket, and then an hour later teach a class on how to use celestial navigation on an alien planet. There’s a massive and rabidly loyal science fiction and fantasy readership with whom that kind of thing resonates. The majors are out of touch. How did you plan for your launch? I didn’t, and I’m an idiot for it. I thought I had; I set up pre-orders on Amazon and did a blog tour, which generated exactly nothing, but I think that’s because I didn’t know how to make it work and I really didn’t have anything else in place. I also thought that those two things would be enough. I thought that someone would read my interview on a blog and realize how brilliant I am, and that it would go viral and that would be all I’d need to do. My big lesson on this was that your social media has to interlock. If you do an interview or a guest blog post, link to it on Twitter; reference notable replies to the Twitter post on your Facebook page; put excerpts on your blog; link to it on forums and on Goodreads. They all help each other out to boost the signal. They multiply each other. For the sequel, The New Magic, we’re using our list of e-mail subscribers who’ve signed up for release updates, doing ARCs a few months out, approaching big-name authors whom I’ve met and asking them for blurbs, having our agent and publicist hit up the mainstream reviewers and big fantasy websites and getting some buzz before launch, the whole thing; going at it head-to-head with the big boys and playing in their sandbox. What is your experience doing fairs and conventions? We talked a little about this, above, but with my background as a hands-on researcher / “method writer,” I love doing scifi/fantasy conventions. If I could just write and travel, speaking at cons and teaching swordfighting to authors, I would be the happiest man in the world. Building a community: with other SFF writers or readers? Maybe both? Why? I don’t know that they’re necessarily separate. Any good author is also a prolific and voracious reader, and many readers have a book idea inside them, even if they don’t know how to write. I don’t think there’s a clear delineation. So, definitely both. It’s really important to me to make friends with other authors, because one of the hard lessons that I think the majors haven’t figured out is that there’s no actual competition among indies. Especially as long as a book costs less than a beer, I’m not going to “steal” a reader from someone else. That reader is just going to buy both our books. 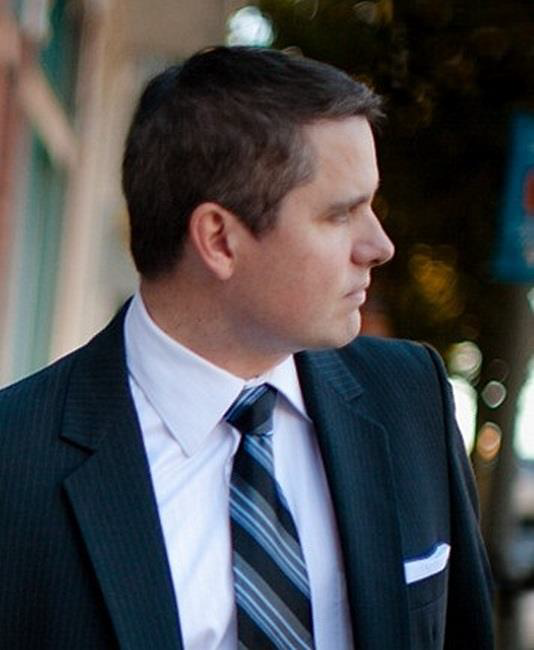 What is your best-working marketing channel and why? BookBub. Hands-down. Because, it’s BookBub. We get long tails from BookBub promotions, I think in no small part because the book is produced at a level competitive with a major publisher; the real kicker comes in when the price reverts to normal after the sale, and it’s still in the Top 20-25 in Sword and Sorcery or Epic Fantasy, and it’s right next to household-name authors at full price and there’s no discernible difference to the casual book-buyer. What is the ideal launch date for the sequel? Did you start writing and marketing your sequel while your first book was still in publication? We’re hoping to launch The New Magic in September, 2018. As I’d said above, we’re using a traditional model for the launch which requires about 4-6 months of promotion before the release. I’ve had the series treatment—plots for every book—for a long time, now. I just recently started the actual writing of the first draft of the third book. I didn’t start working on the second book until about 8 months after the launch of the debut; I had spent most of that time learning about publishing and marketing. We only recently started marketing The New Magic, other than an inclusion on the back page of Dragon’s Trail. It takes me about a year to produce a new book; 6-8 months of drafts, then another 4-6 months of editing and promotion. Is the market ready for self-published and indie SFF authors? Everything is in place for an independent science fiction or fantasy author to create a blockbuster, household-name series. Once that happens, the whole market is going to shift. 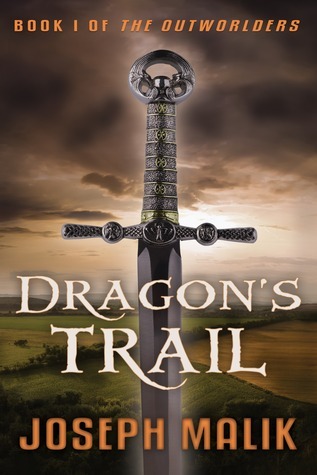 We’ve received a couple of nibbles on film rights for Dragon’s Trail, which tells me that we’re getting to a point in this business where an independent author is eventually going to have a successful movie or TV franchise made while keeping the publishing rights. It may not be us, but it will happen; when it does, it will be the equivalent of setting off a backpack nuke in the middle of the traditional publishing ecosystem. I think the next thing we see is going to be majors combing the midlists and picking up finished, professionally-written books and putting them out through their existing networks with very little modification, if any. They’re idiots not to. From there, it’s only a matter of time before an independent author blows the top off of the science fiction or fantasy markets and does it without the help of a major house. I don’t know what traditional publishing would look like after that, if it exists at all. What is your advice for fellow fantasy and sci-fi authors? My advice? Be ready. Study your craft. Study the business. Take yourself seriously. Be ready to go head to head with the big-name authors and the major houses, because “success” is soon going to mean something completely different from what it means today, and once we get there, the genie will never go back in the bottle. Joseph Malik is an eligible author for the 2018 John W. Campbell Award for Best New Writer in Science Fiction/Fantasy. In addition to fiction, he writes and lectures on advanced intelligence theory and asymmetric warfare for the U.S. military. He has worked as a stuntman, a high-rise window washer, a computational linguist, a touring rock musician, and a soldier in the United States Special Operations Command. A veteran of Operation Enduring Freedom, he lives in the Pacific Northwest along with his wife and their two dogs. Mr. Malik is currently mobilized in the U.S. Army Reserve. Dragon’s Trail is his first novel. A sequel, The New Magic, is nearing completion. You can follow him on Facebook or Twitter.